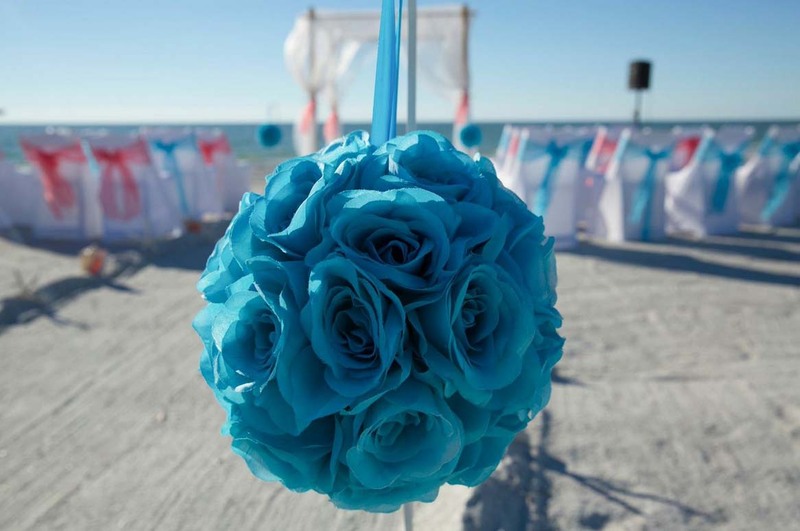 Of all the shades of blue we offer (and there are lots! 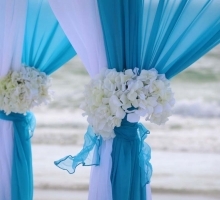 ), turquoise is the most popular. 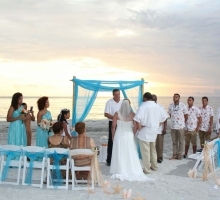 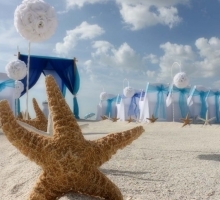 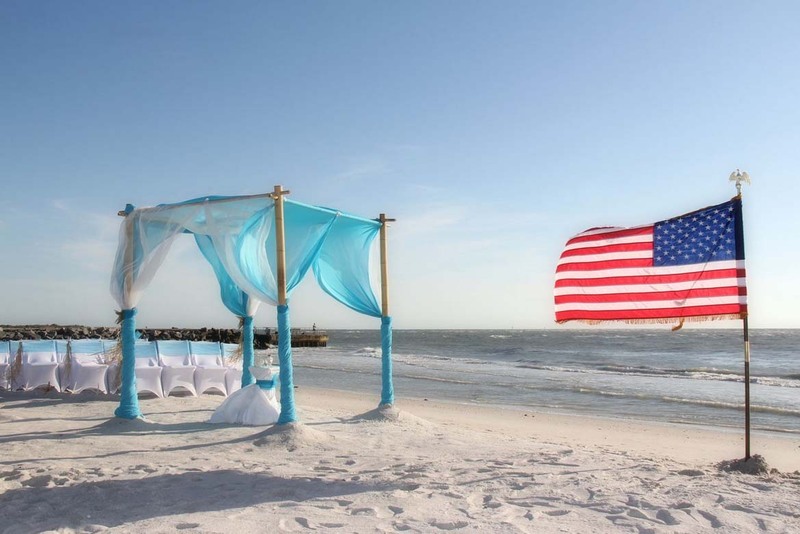 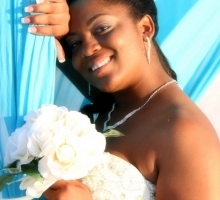 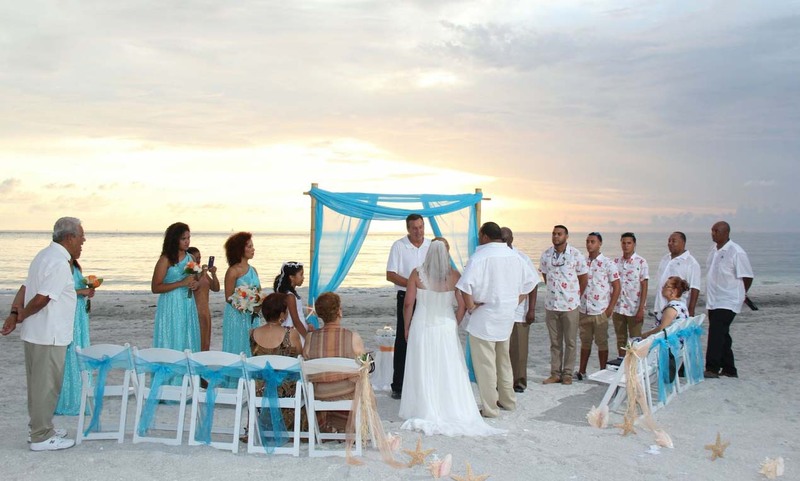 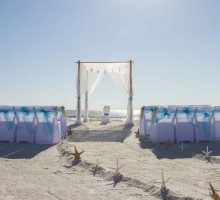 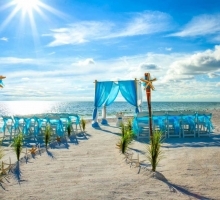 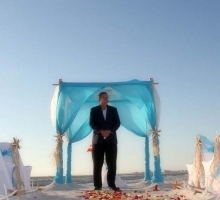 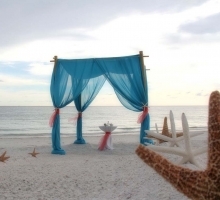 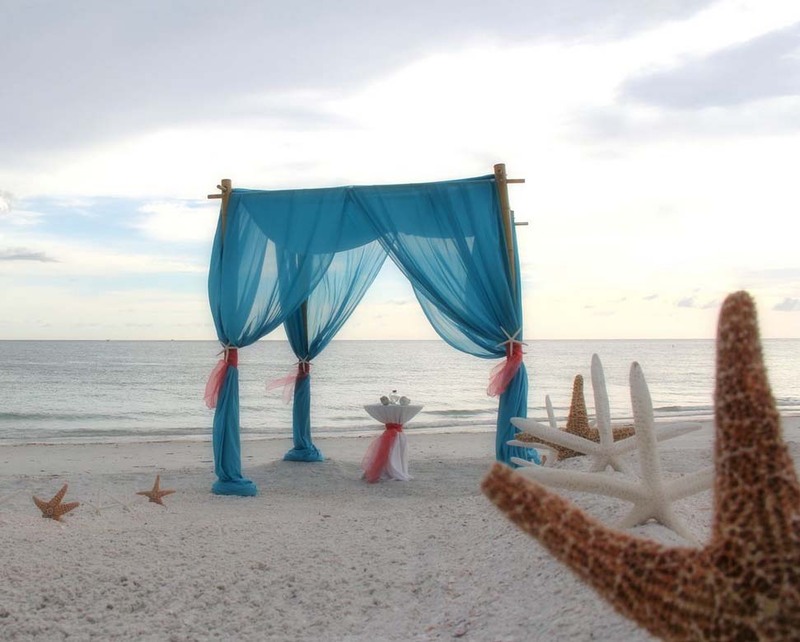 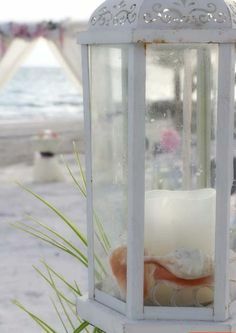 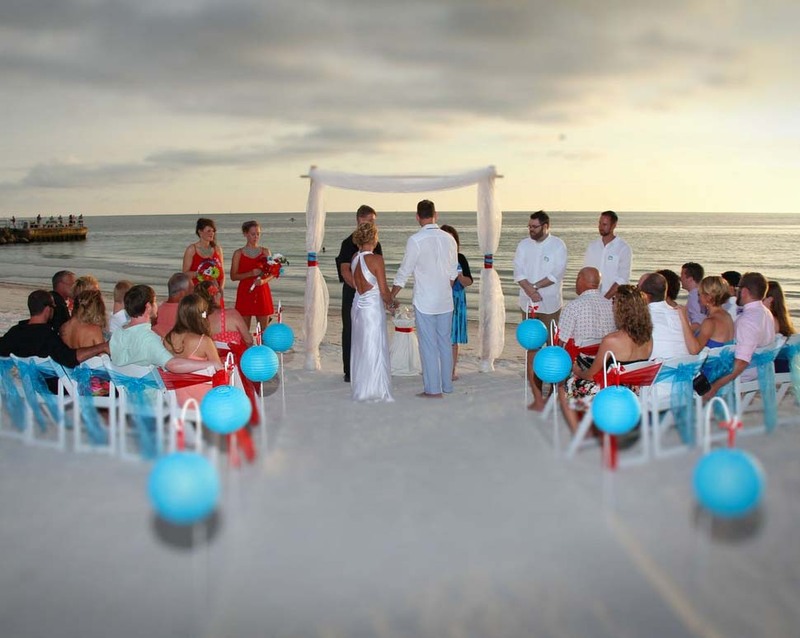 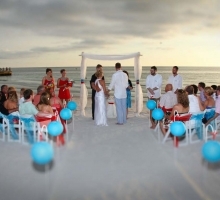 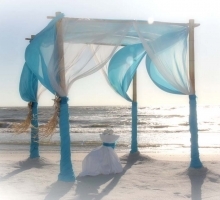 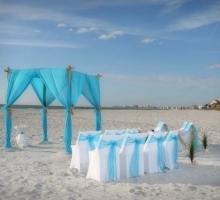 It conveys a brightness and ambiance which fits the beach wedding setting perfectly. 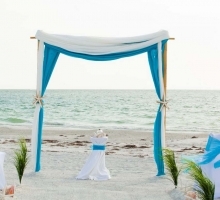 For a subtle effect, turquoise on chair sashes and maybe a tie around the arch posts give a pop of color. 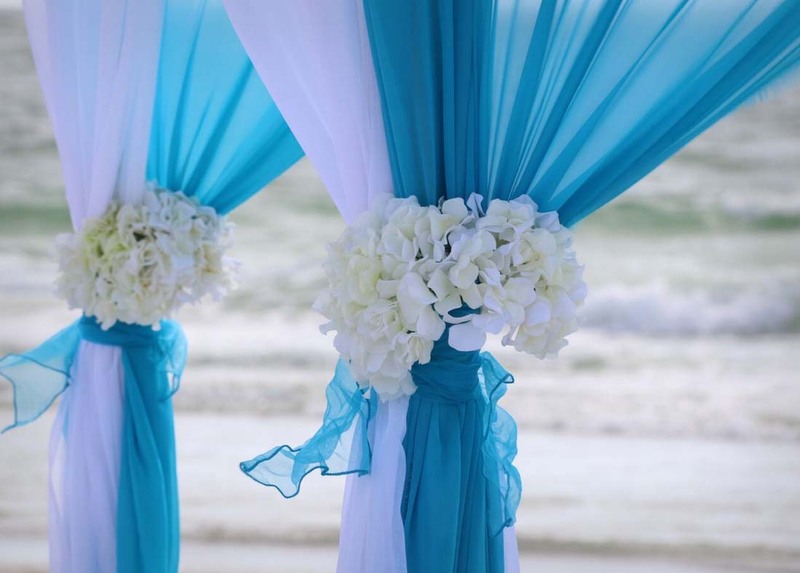 For a more vivid and eye catching look, we offer turquoise chiffon drapes which can be the sole color or mixed with darker royal blue or contrasted against pale ivory or white. 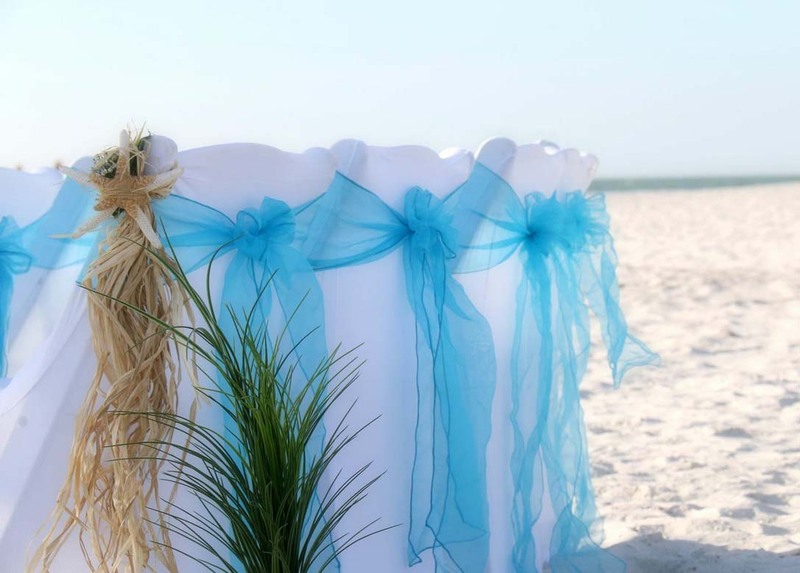 The colors mingle with the sea and the skies to make a lovely scenic setting, at once calming and inviting. 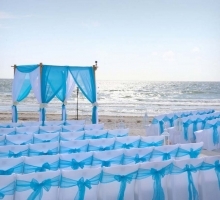 For an aisle with style, turquoise pomanders are striking and blue paper lanterns also make a dramatic entrance and a beautiful backdrop for your wedding pictures. 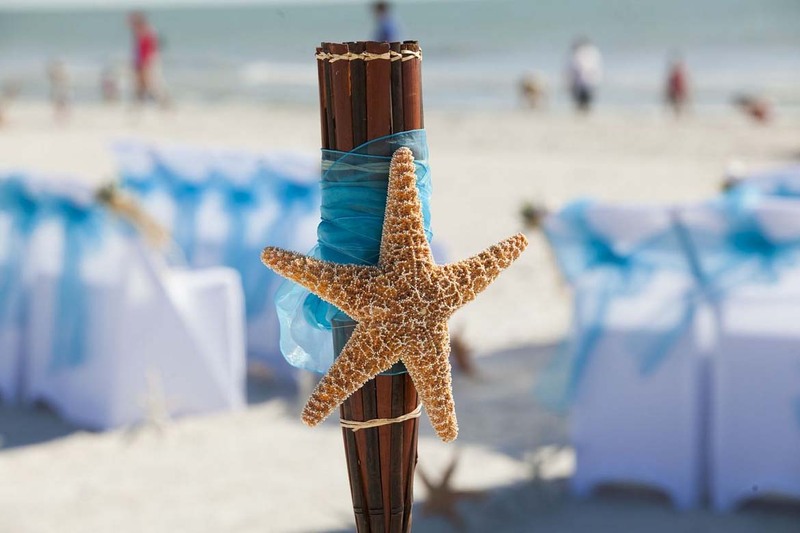 The gallery shows a selection of décor from some of our favorite beach locations: Clearwater beach, St Pete Beach, Pass-a-Grille and Sunset Beach on beautiful Treasure Island. 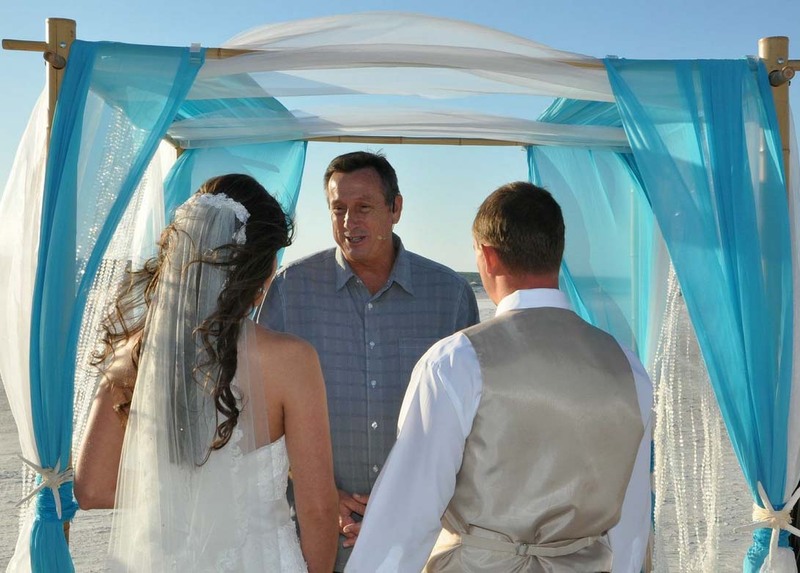 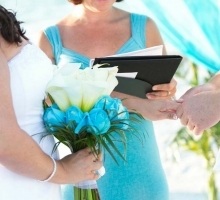 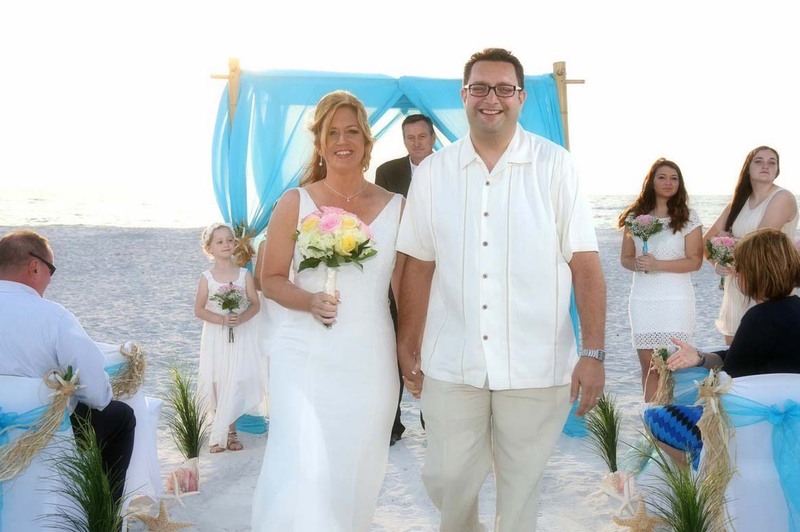 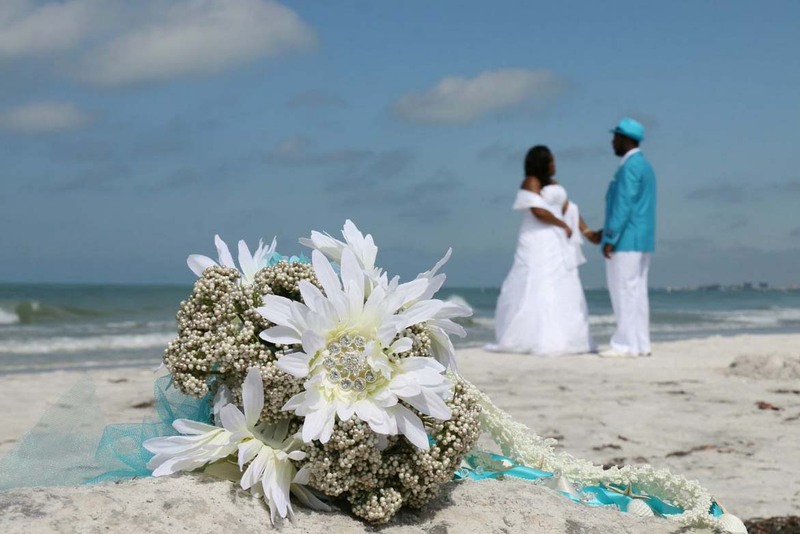 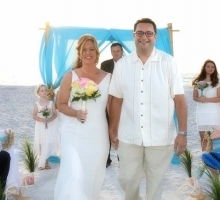 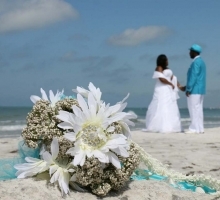 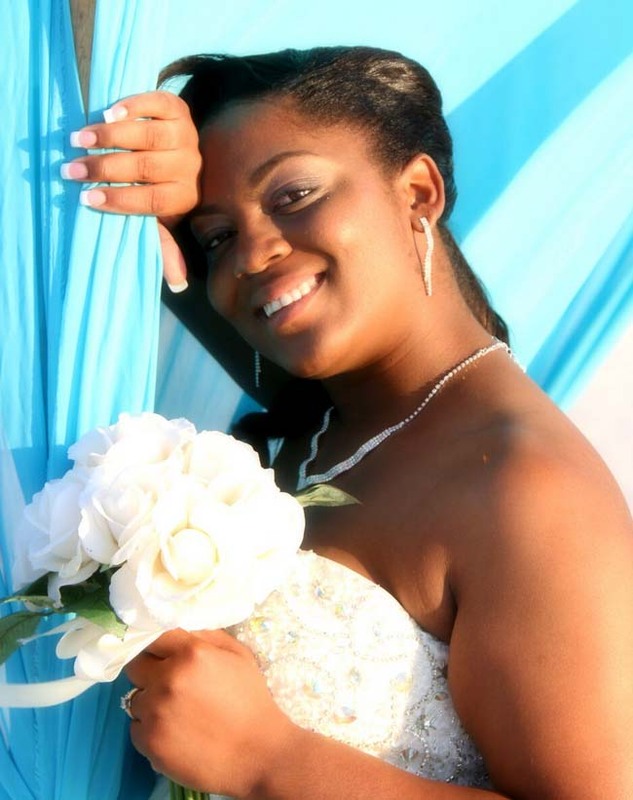 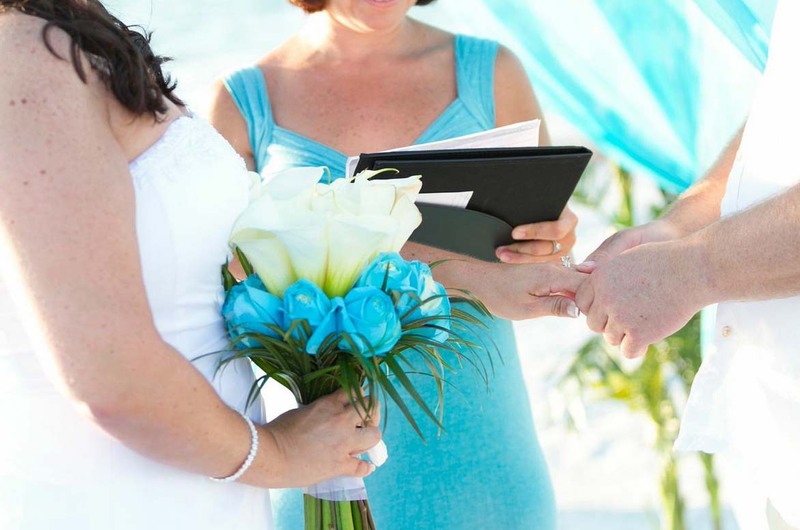 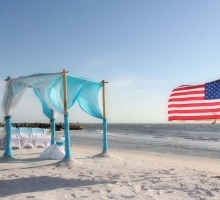 Give us a call today to start planning your romantic Florida beach wedding or vow renewal 727-443-0039 or drop into our office at 6807 Gulf Boulevard on St Pete Beach. 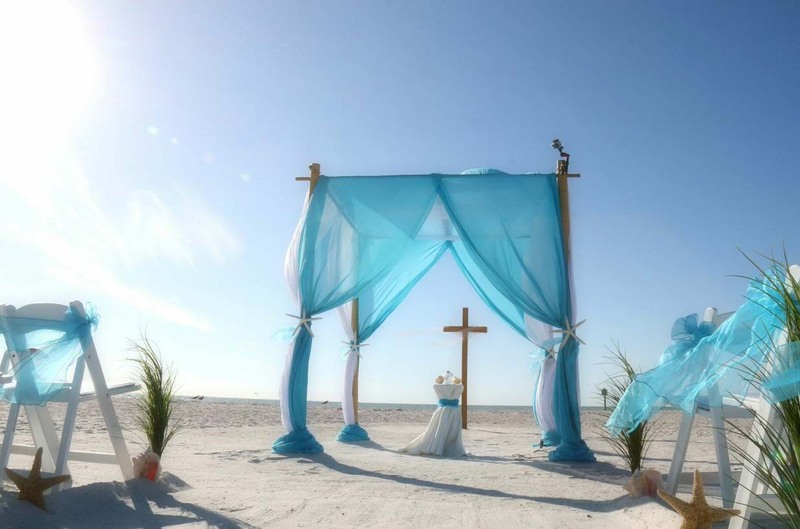 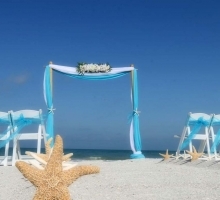 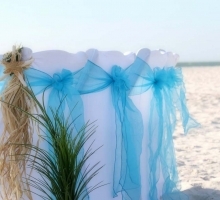 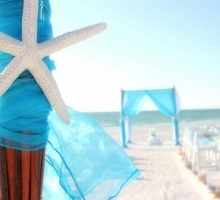 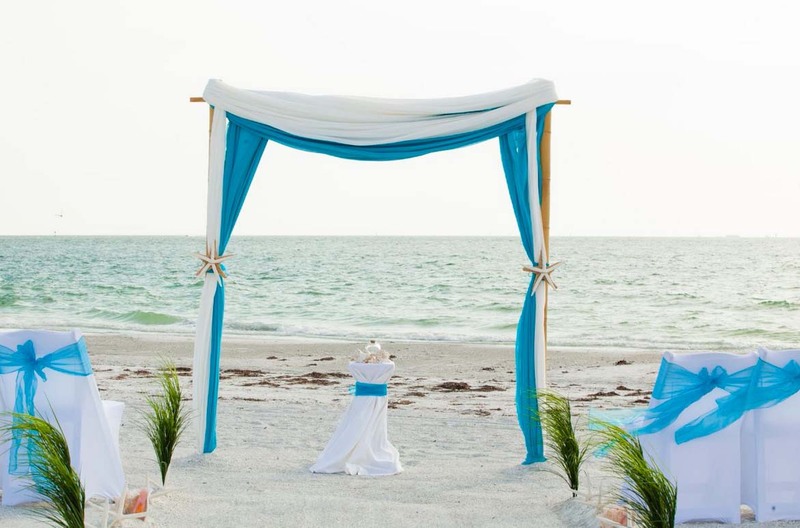 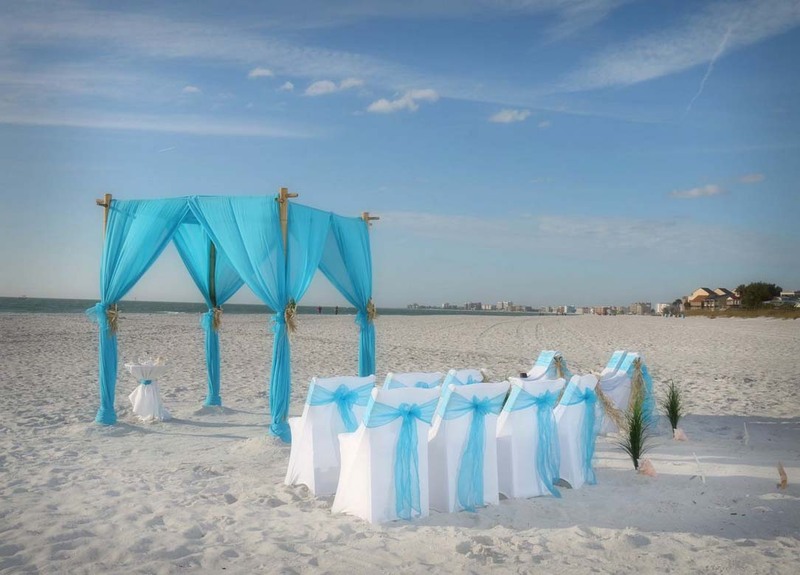 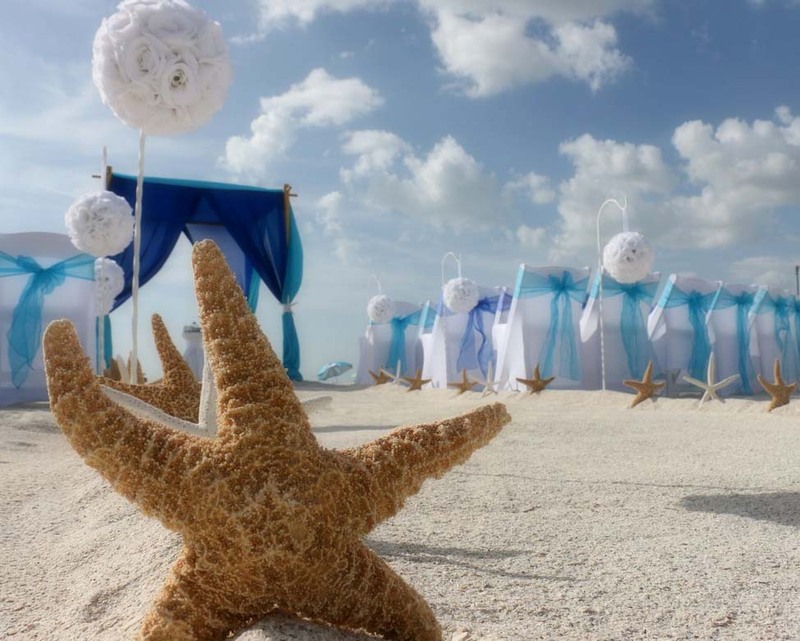 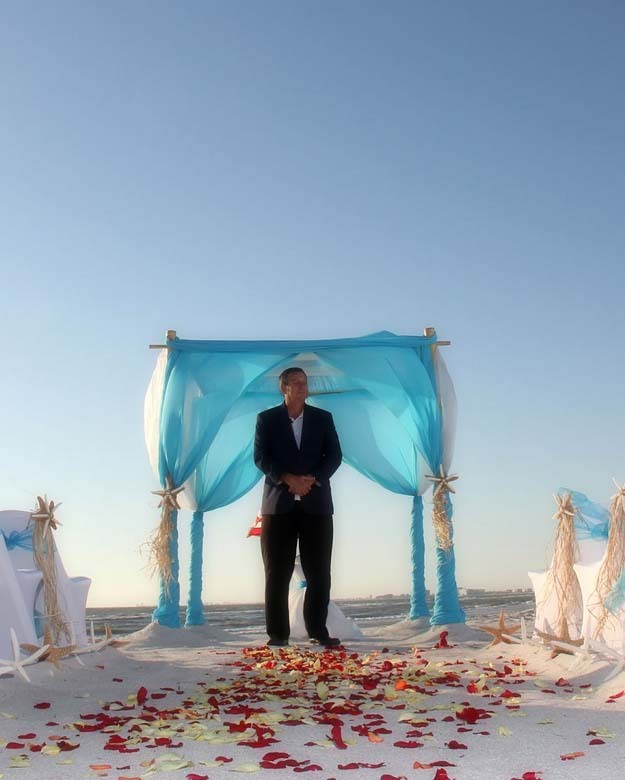 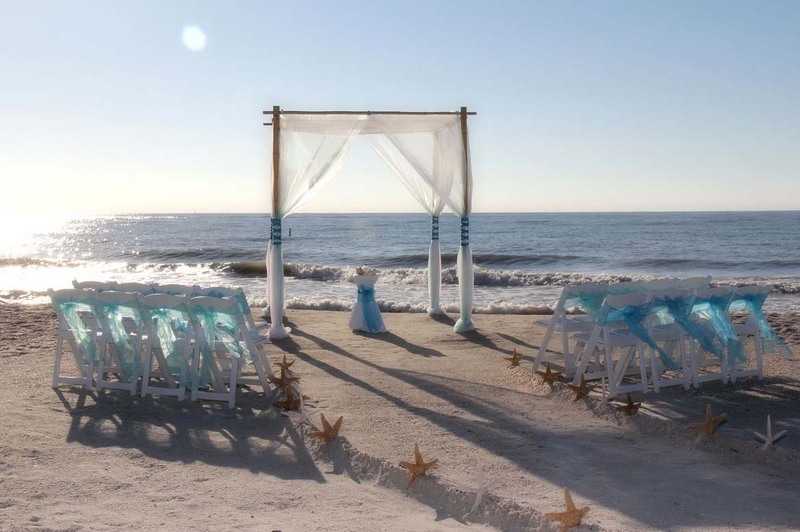 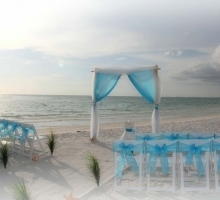 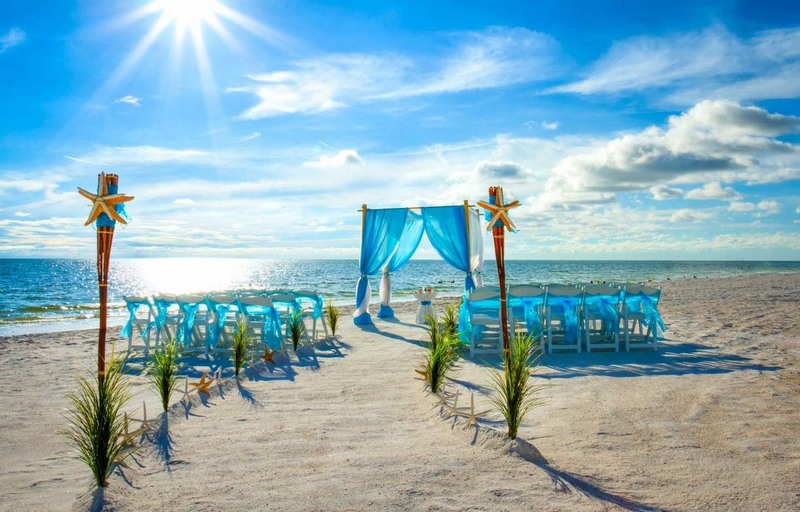 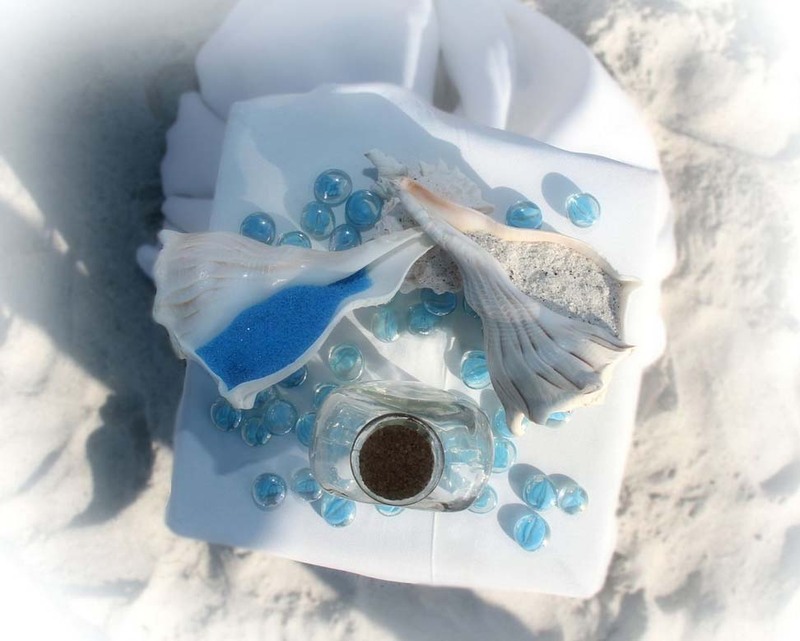 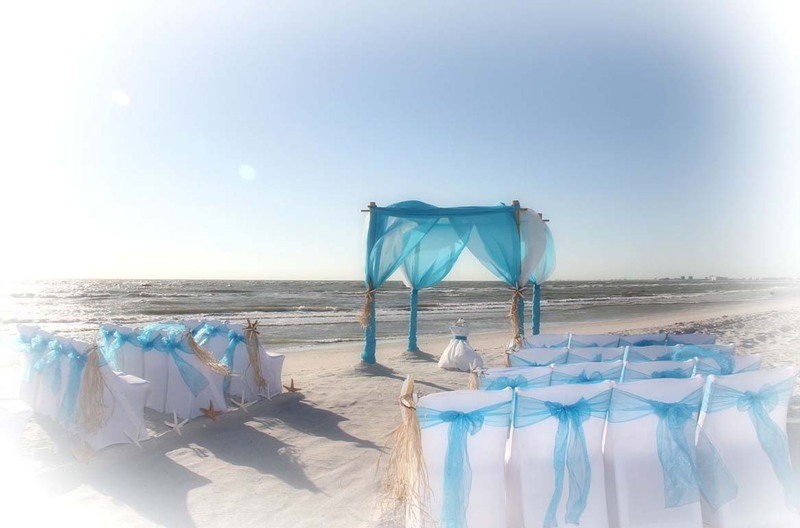 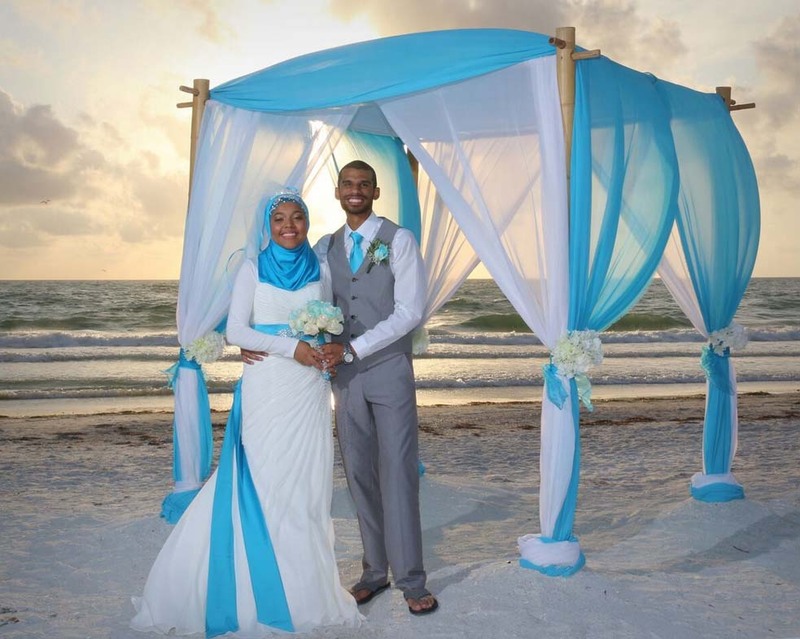 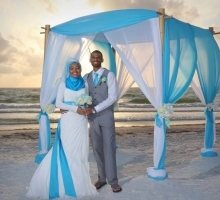 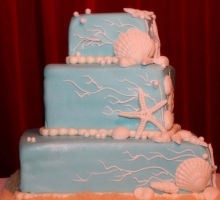 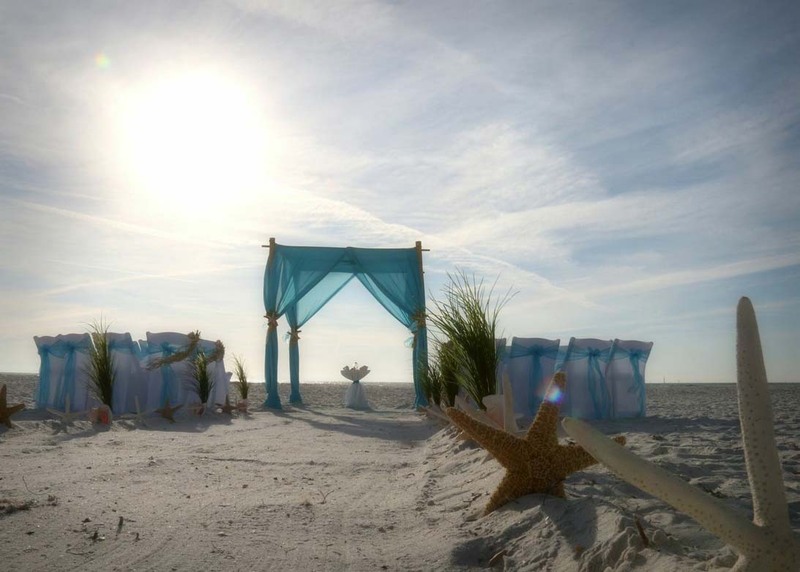 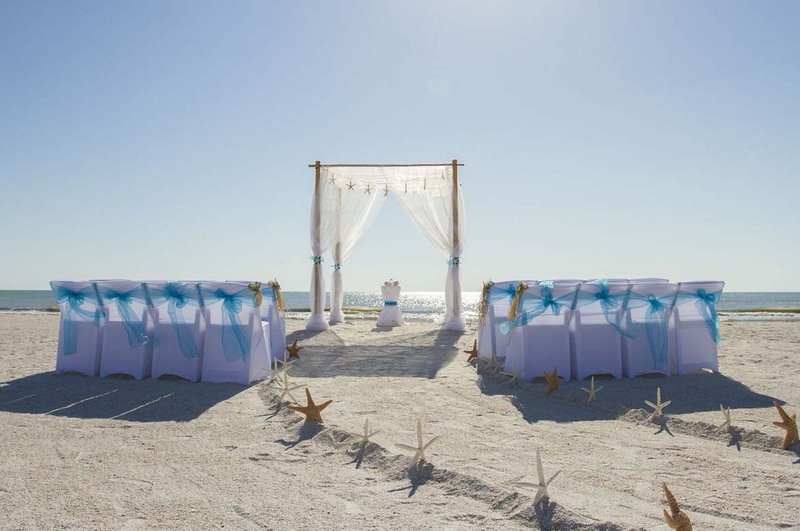 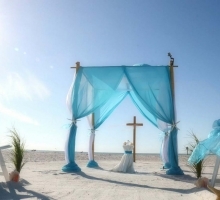 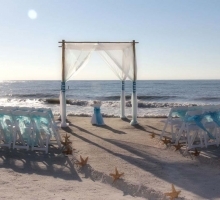 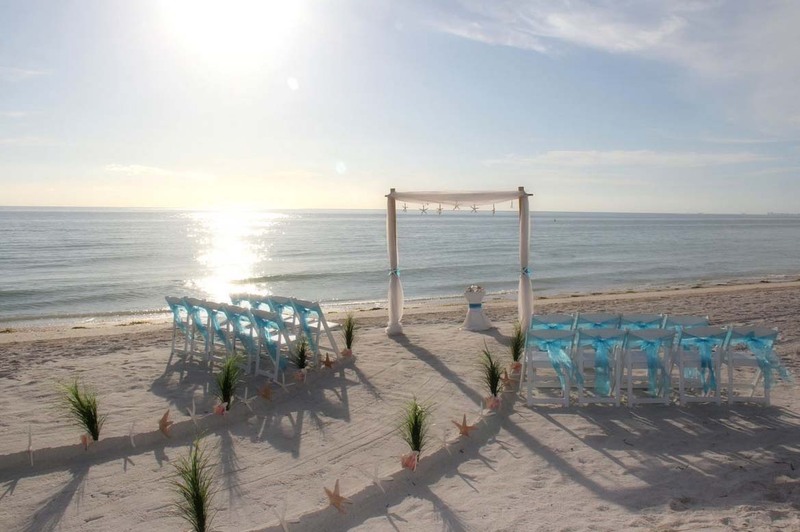 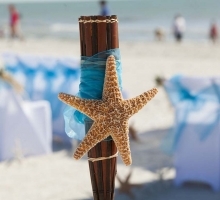 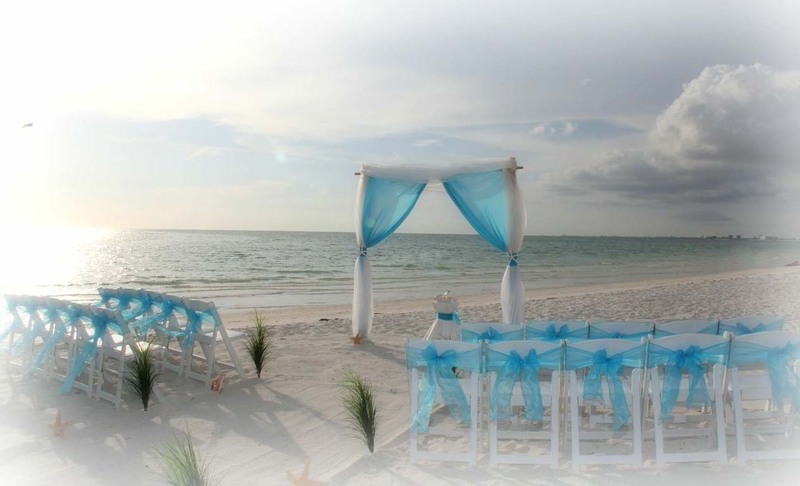 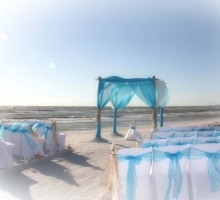 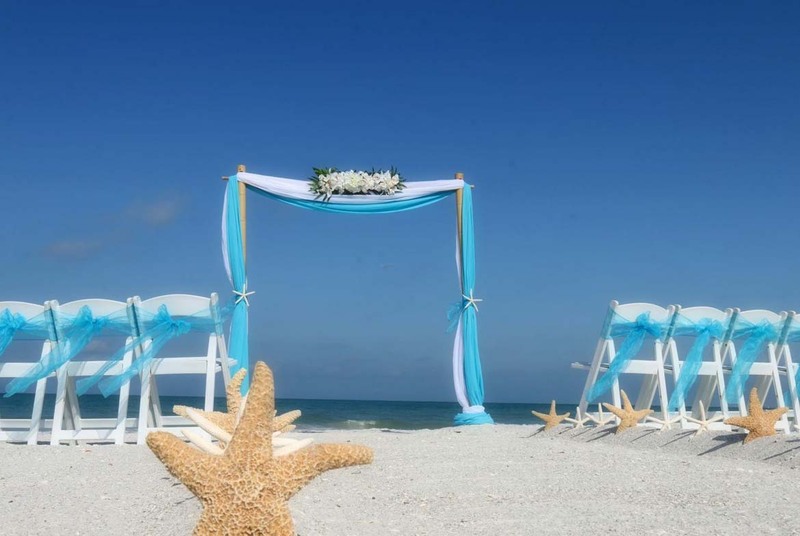 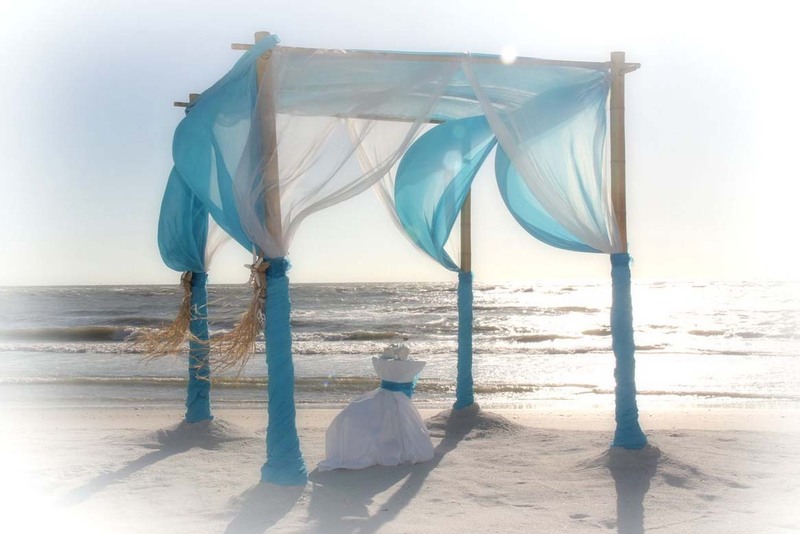 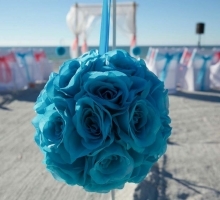 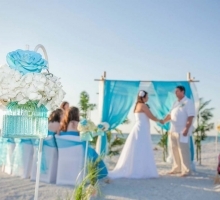 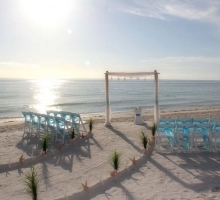 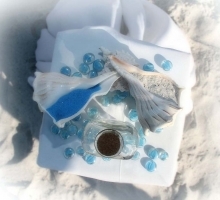 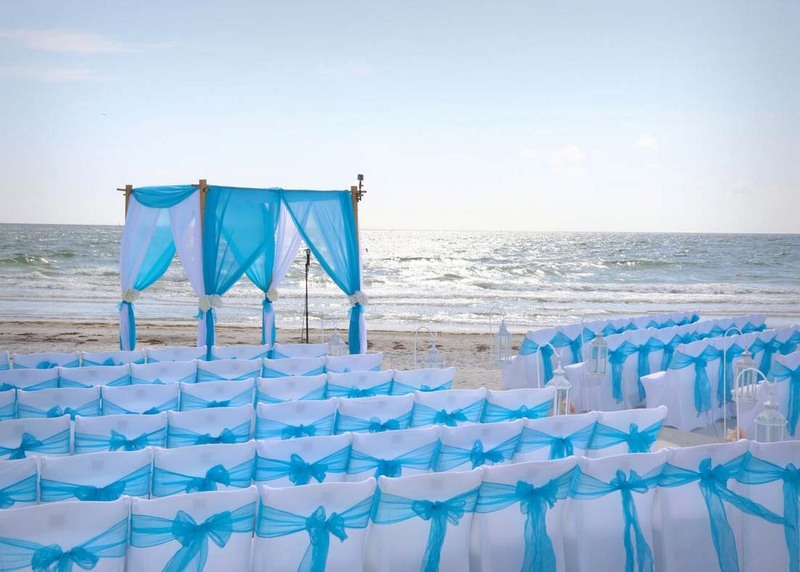 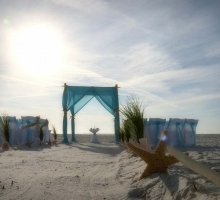 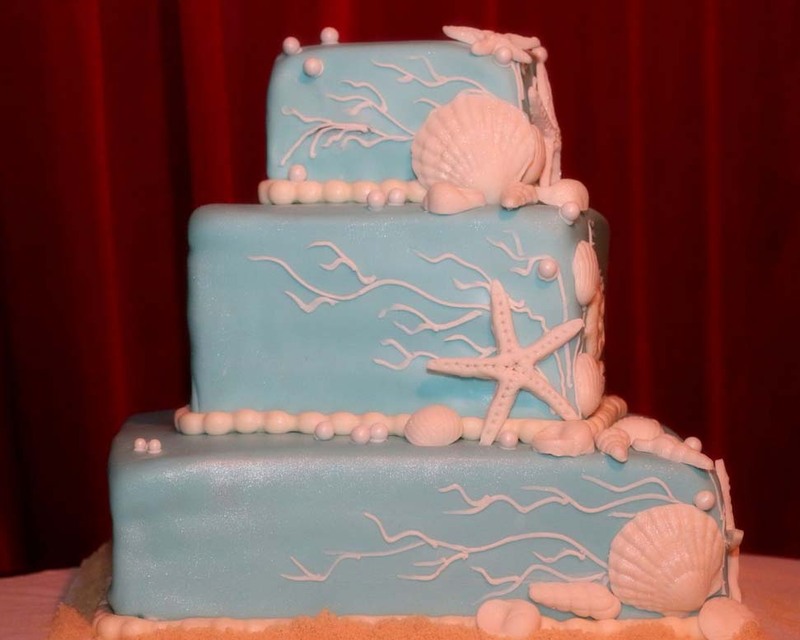 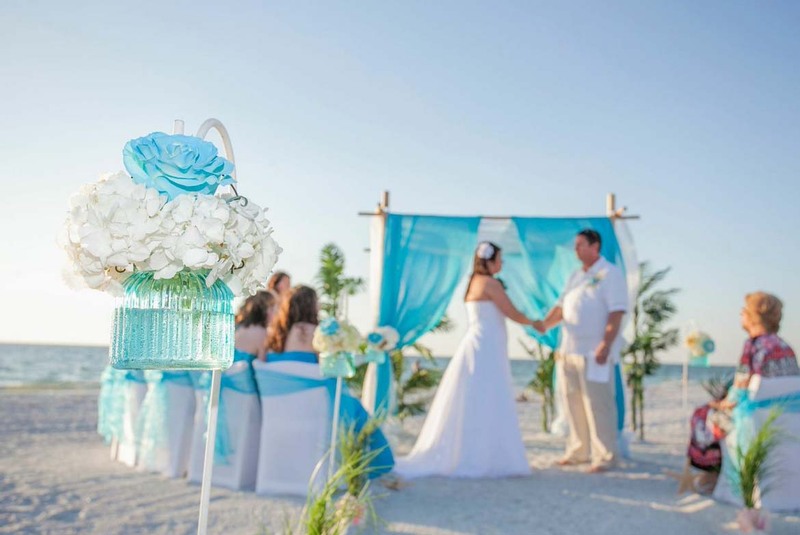 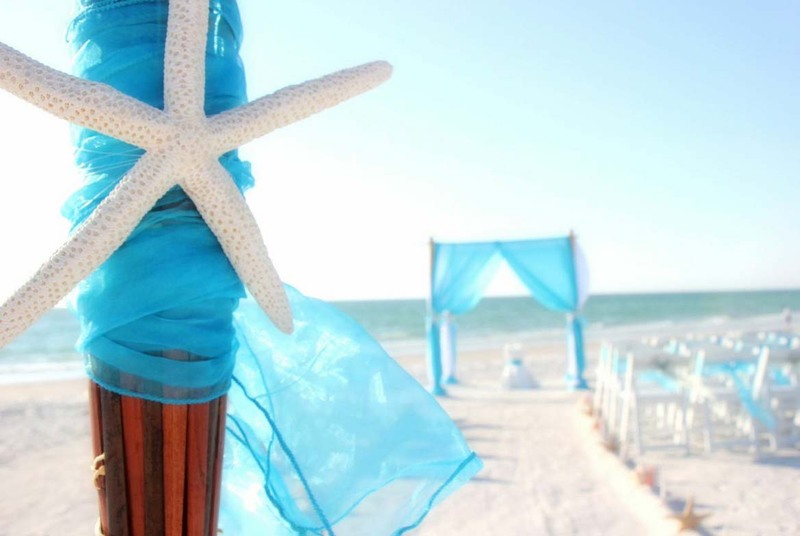 One of our stunning Florida Beach Wedding themes - Tantalizing Turquoise will brighten your special day!